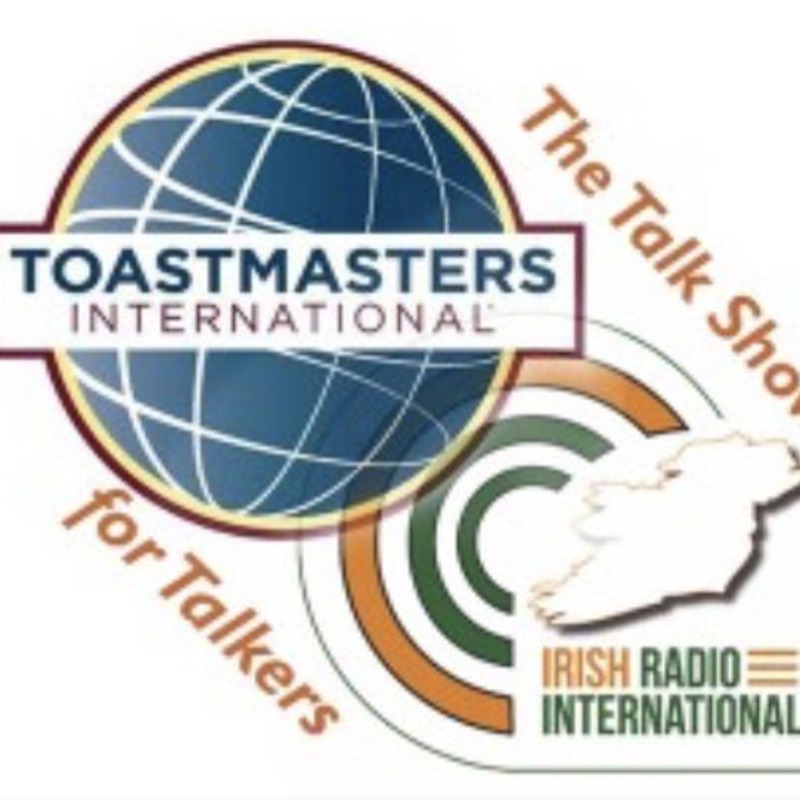 From Toastmasters in Cork Ireland, "The Talk Show for Talkers" is hosted by Ted Mellamphy, Moira O'Brien, Paul O'Mahony & Guests. All about Communications & Leadership - the Toastmasters International Way." Interstitial and "Aim for the moon...."
Amy Purdy - "Living beyond Limits"
Intro: "Audacious" and "We must do the think that we cannot do"
Inspired by the Members Handbook developed by Blarney Toastmasters (especial thanks to Sharon O'Neill DTM for the original version of this handbook), and following on from Lark Doley's introduction to the February Toastmaster magazine, Moira talks about how, by proper preparation, your Toastmaster meeting can run smoothly. Paul introduces the subject of the verbal crutches that we not only use in Toastmasters but in the outside world as well - ad nauseam! Intro: "Good, better, best. Never let it rest.........." and "Crapulent"
Intro: "Good, better, best. Never let it rest.........." and "Metanoia"
Visiting other clubs - or joining another club? Intro: "The well balanced, intelligent speaker ...." and "Blatherskite"
How much fun is your club? 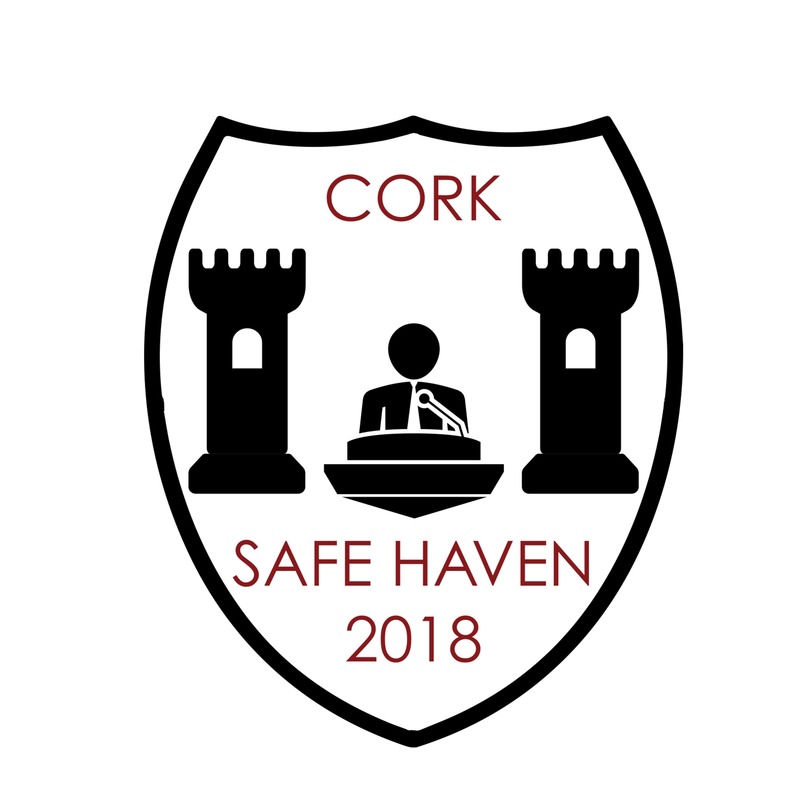 Intro: "Little strokes, fell great oaks" and "Perspicuous"
Following the visit of Dan Rex to Dublin and a workshop he gave, Paul introduces the subject of what is a quality club. Introduction: Extrapolate and Ralph Waldo Emerson "Kindness..........."
What if you invented Toastmasters today? A Toastmasters Club in Prison? Terri Trespico: Stop searching for your passion. Badass & "Learn to be thankful for what you already have......"
Simon Sinek TED Talk: Why good leaders make you feel safe. Plaudit & "No one who achieves success does so....."
You hear Celeste Headlee present "10 ways to have a better conversation" - a TED Talk (1) Don't multitask - be present - in that moment (2) Don't pontificate - assume you have something to learn (3) Use open-ended questions - who, why, what, how ... (4) Go with the flow - stop waiting to interject (5) If you don't know, say you don't know (6) Don't equate your experience with their's (7) Try not to repeat yourself (8) Stay out of the details (9) Listen (the most important point) (10) Be brief Introduced by Ted Mellamphy https://www.youtube.com/watch?v=H6n3iNh4XLI _____________________________________________ 2018/19 episode 6 part 2 first published on November 2nd. Introduced by Ted Mellamphy, Paul O'Mahony and Moira O'Brien: Word of the Week: Brouhaha. Thought for the week: Catherine Pulsifier - "If we have the attitude, 'it's going to be a great day', it usually is". _____________________________________________ 2018/19 episode 6 part 1 first published on November 2nd. Education: Public Relations Strategies, Question-and-Answer Session & Reaching Consensus. The new Toastmasters Education Programme (Pathways) gives people opportunities to learn how to (1) Public Relations Strategies (2) Question-and-Answer Session (3) Reaching Consensus. Moira O'Brien introduces the Projects. _________________________________________ 2018/19 episode 4 part 3 first published on October 19th. Education: Prepare for an Interview, Prepare to Speak Professionally, Present a Proposal. Keith Ferrazzi - "What holds us back from success in the workplace." Smarmy & "Your best teacher is your last mistake." Moira continues working through the Pathways Projects and covers: Negotiate the Best Outcome Persuasive Speaking Planning & Implementing __________________________________________ 2018/19 episode 1 part 4 first published on September 7th. Paul tells us his experience of using the Member Support Service from Toastmasters International. ____________________________________________ 2018/19 season episode 1, Part 3, first published on September 7th. 2018/19 programme 1, first published on September 7th. Ramona J Smith from Cleveland Ohio and now living in Houston, Texas won the World Championship of Public Speaking at the recent International Convention in Chicago. She is only the fifth woman to win the championship and only the second African-American to win. In addition, second and third places were also won by women - a first in the 80 odd years of the contest. 2018/19 Episode 1 was first published on September 7th. Thought for the week: Anon: "Gratitude turns what we have into enough" Word of the Week: Surrepticious. Chris Nowinski's TED Talk "Can I have your Brain"
Part 2 from season 2107/18 programme 43 first published on August 31st. Thought for the week: Marcus Tulius Cicero: "Gratitude is not only the greatest virtue, but the parents of all others. "Thought for the week: Marcus Tulius Cicero: "Gratitude is not only the greatest virtue, but the parents of all others." Part 3 from season 2017/18 programme 42. Lorraine Taylor (Distinguished Toastmaster), from hybrid club "Be Bold for Change" in Dubai (first hybrid club in the region) & the online club "Firebirds Collective" - interviewed by Moira O'Brien. Lorraine answers these questions: 1. What brought you to Toastmasters? 2. What's been the greatest benefit of Toastmasters for you? 3. What's been your biggest Toastmasters challenge? 4. How did you find the online club "Firebirds Collective"? 5. If you were CEO & International President of Toastmasters what would you change? 6. What keeps you coming back to Toastmasters? Word of the Week: Virile. Thought for the week: Steve Jobs - "Be a yardstick for quality - some people aren't used to ab environment where excellence is expected." The new Toastmasters Education Programme (Pathways) gives people opportunities to learn how to (1) Make Connections through Networking (2)Manage Change (3)Manage Online Meetings. Moira O'Brien introduces the Projects. Based on "3 Steps to Adding Humor to Your Speech If you’re having fun, your audience will too." By Nick Jack Pappas http://nickjackpappas.com/ Paul O'Mahony praises Nick's article in Toastmaster Magazine https://www.toastmasters.org/magazine/magazine-issues/2018/aug2018/adding-humor & introduces a discussion. The new education programme (Pathways) : Moira O'Brien introduces three projects: (1) Introduction to Toastmasters Mentoring (2) Lead in any Situation (3) Leading in Difficult Situations. Do we like the new District Newsletter? These two projects are very similar - Moira compares them and discusses the implications of doing both projects. ___________ This is part 4 of Programme 37 of 2017/18 season - first broadcast on July 20th. Paul O'Mahony invites us to a tea party, inspired by the viewpoint in the June edition of the Toastmaster Magazine by Balraj Arunasalam https://www.toastmasters.org/magazine/magazine-issues/2018/june2018/viewpoint ____________ This is from Programme 37 of 2017/18 season - first broadcast on July 20th. __________ This is from Programme 37 of 2017/18 season - first broadcast on July 20th. Introduction: Nelson Mandela "Passion" + "Wry"
Thought for the week: Nelson Mandela - "There is no passion to be found playing small - in settling for a life that is less than the one you are capable of living" - introduced by Moira O'Brien Word of the Week: WRY - introduced by Paul O'Mahony ____________ This is from Programme 37 of 2017/18 season - first broadcast on July 20th. "Live for today, for tomorrow we die" + "Harangue"
Paul interviews Binal Sawjani from Cranfield Speakers, VPE of Cornerstone & Mentor to Luton Communicators. Moira O'Brien introduces Pathways projects covering (1) Evaluation & Feedback (2) Focus on the Positive (3) High Performance Leadership ____________ This is from Programme 36 of 2017/18 season - first broadcast on July 13th. A Toastmaster's Holiday - Paul's travel guide. Paul O'Mahony speaks about what Toastmasters can do during the club holiday period. ___________ This is from Programme 36 of 2017/18 season - first broadcast on July 13th. You hear: (1) Thought for the week from Nelson Mandela "Education is the most powerful weapon you can use to change the world" (2) Words of the Weeks: We review words from the past ten shows _____________ This is from Programme 36 of 2017/18 season - first broadcast on July 13th. Moira O'Brien looks at three Pathways Projects (1) Distinguished Toastmaster, (2) Effective Body Language (3) Ethical Leadership. ____________ This is from Programme 35 of 2017/18 season - first broadcast on July 6th. Paul O'Mahony introduces an important issue for every Toastmasters Club. ___________ This is from Programme 35 of 2017/18 season - first broadcast on July 6th. You hear the Toastmasters World Championship of Public Speaking, 2001 Winner, Darren LaCroix. Darren says "2001 was considered by many one of the most competitive years of the speech contest. This is one the funniest, most talked about speeches in the history of the Toastmasters World Championship of Public Speaking since 1938. "OUCH!" is also one of the most widely studied by speech contestants." Read Darren's LinkedIn profile here: https://www.linkedin.com/in/darrenlacroix/ __________ This is from Programme 35 of 2017/18 season - first broadcast on July 6th. Ralph Waldo Emerson & "Insidious"
Self-Confidence + Making Shorter speeches + Social Speeches + Communication Plan + Your Vision. Reigniting Passion + Creating a Podcast + Creating Effective Visual Aids + Cross-Cultural Understanding. Contents: (1) "Strive not to be a success, but rather to be of value" [ALBERT EINSTEIN] = THOUGHT FOR THE WEEK - introduced by Ted (2) SERENITY = Word of the Week - introduced by Paul (3) AARON BEVERLY: 2nd place speech [longest title ever invented] from 2016 World Championship of Public Speaking - introduced by Ted (4) FBI (Joe Navarro) on NON-VERBAL COMMUNICATIONS - introduced by Paul (5) PATHWAYS PROJECTS: Communicate Change, Connect with Storytelling & Connect with your Audience - introduced by Moira ______________ This Programme 32 of 2017/18 season - first broadcast on June 15th. Presented by Moira O'Brien, Ted Mellamphy & Paul O'Mahony Facebook: "The Talk Show For Talkers"
(1) "Think not those faithful who praise all thy words & deeds - but those who kindly reprove thy faults" = Thought for the week: (2) PIFFLE = Word of the Week: (3) Interview with Bruce LeLièvre, President of Haymarket Toastmasters & member of Edinburgh Advanced TM and Linlithgow Speakers. (4) Paul talks about "The Navigator" from Toastmasters International. (5) Pathways, Moira covers the path "Strategic Relationships". ____________ This is Programme 29 of 2017/18 season - first broadcast on May 25th. (1) "If you command wisely, you will be obeyed cheerfully" (THOMAS FULLER) = THOUGHT FOR THE WEEK (2) PLETHORA = WORD FOR THE WEEK (3) District 71 CONFERENCE in Cork (SafeHaven2018 discussion with SHARON O'NEILL & PAT DUGGAN (4) PATHWAYS: "LEADERSHIP DEVELOPMENT" Path _____________ Links to Pathways Resources: Pathways Experience blog http://pathwaysexperience.blogspot.com/ District 51 Pathways Resources https://d57tm.org/pathways/ _____________ This is Programme 26 of 2017/18 season - first broadcast on May 4th. (1) "Don't get prepared - stay prepared" (CRAIG VALENTINE) = THOUGHT FOR THE WEEK (2) EMBELLISH = WORD FOR THE WEEK (3) LANCE MILLER's 2005 World Championship winning speech. (4) EXPANDING EVALUATIONS (5)PATHWAYS "INNOVATIVE PLANNING" Path ____________ This is Programme 25 of 2017/18 season - first broadcast on April 27th. (1) "When you reach the end of your rope, tie a knot in it & hang on" (Benjamin Franklin:) = THOUGHT FOR THE WEEK (2) PIVOT = WORD FOR THE WEEK (3) WINNING SPEECH by WORLD CHAMPION 2011 - JOCK ELLIOT (4) ORGANISING A DISTRICT CONFERENCE (5) PATHWAYS: EFFECTIVE COACHING ____________ This episode is Programme 23 of 2017/18 season - first broadcast on March 30th. (1) "My best friend is the one that brings out the best in me" (Henry Ford) = THOUGHT FOR THE WEEK (2) STUFF = WORD FOR THE WEEK (3) TED MELLAMPHY (interviewed by Moira O'Brien) (4) "ECHOES OF EMPATHY" - article from Toastmaster Magazine (5) PATHWAYS: "Presentation Mastery" Path _________ This episode is Programme 22 of 2017/18 season - first broadcast on March 23rd. (1) "Don't show up to prove, show up to improve." (Simon Sinek) = THOUGHT FOR THE WEEK (2) RANKLE = WORD FOR THE WEEK (3) WINNING SPEECH : Dananjaya Hettiarachichi's World Champion 2014 (4) MODERATING A PANEL DISCUSSION (5) PATHWAYS "Visionary Communication" Path _____________ This episode is Programme 21 of 2017/18 season - first broadcast on March 16th. (1) "The joy of leadership comes from seeing others achieve more than they thought they were capable of" (SIMON SINEK) = THOUGHT FOR THE WEEK _________ (2) The TOASTMASTERS PROMISE _________ (3) ZENITH = Word for the Week _________ (4) CRAIG VALENTINE "The Key Secret to Telling Great Stories" and "The Callback - A Fantastic Way to Open your Speech" _________ (5) Growing the club: inspired by MAUREEN ZAPPALA (Ohio) _________ (6) PATHWAYS Overview (continued) : the 5 levels & the projects overview _______________ Notes : This was recorded on Zoom (used by online clubs) : Paul in Glanmire, Ted in Blarney, Moira in Macroom - because a blizzard is forecasted. This is programme 19 of 2017/18 season - first broadcast March 2nd. 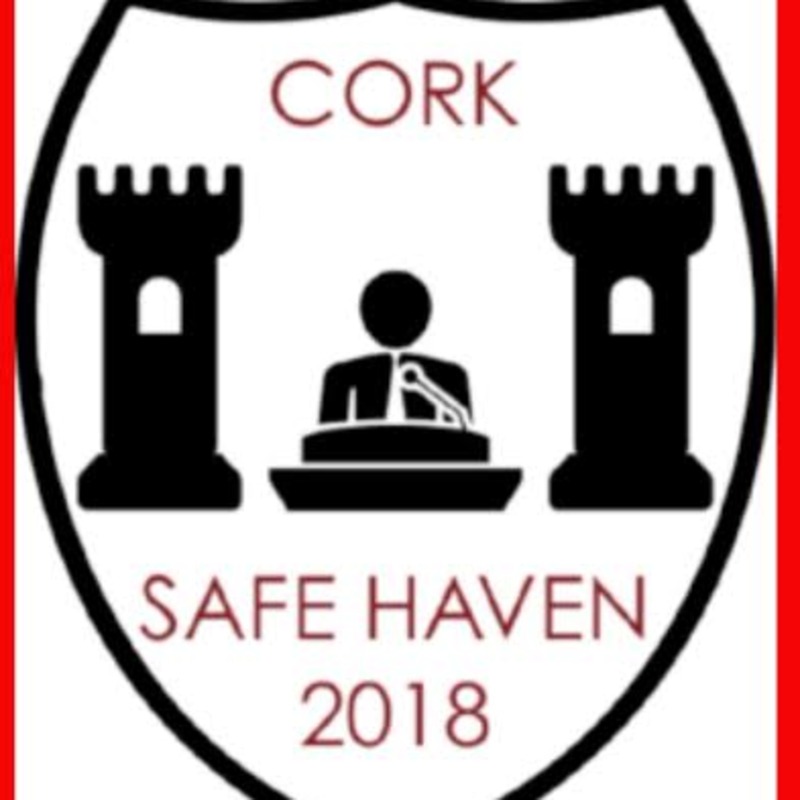 This is to inform you that today Sharon O'Neill (conference director) & Pat Duggan (finance manager) will chat with Paul O'Mahony (marketing manager) about (1) the District 71 annual conference in Cork on 11th - 13th May (2) why Cork is a perfect place to hold a Toastmasters conference (3) and more. The discussion will be 24 minutes long.